We are carrying out essential resurfacing work on the A4174 ring road at the Hambrook traffic lights/Bristol Road junction and between the Wick Wick and Lyde Green roundabouts from Friday 19 August to Friday 9 September. Advance warning signs will be displayed and alternative routes will be clearly signed throughout the duration of the closures. We have informed local residents and businesses ahead of the closures and have notified the emergency services and advised them of access routes. South Gloucestershire Council’s Head of Street Care and Transport Mark King said: “It’s important that we carry out this essential resurfacing work now, before the surface deteriorates any further. “We are carrying out the work overnight and at weekends to minimise disruption to commuters and local residents. Diversion routes will be clearly signposted whilst the works are in progress. 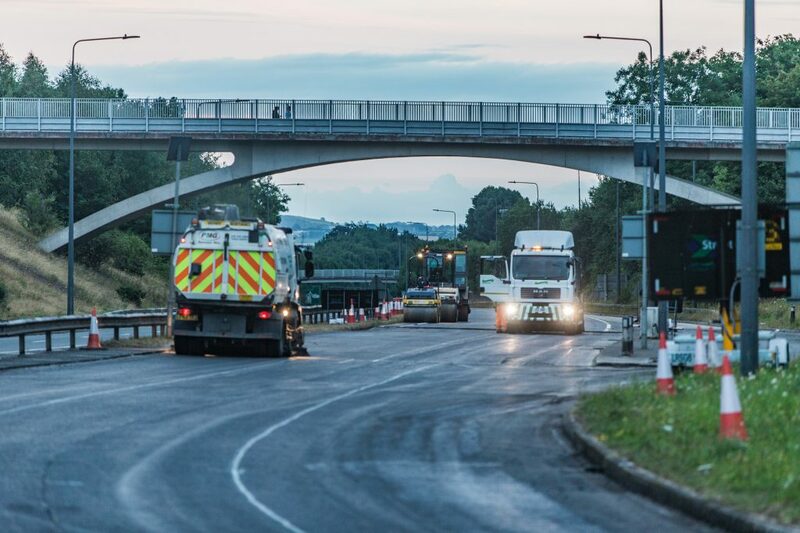 This resurfacing work has been carefully scheduled to take place when traffic flow is low in order to minimise the impact on the Metrobus programme. It has also been planned to take place before school holidays come to an end and to avoid the Bank Holiday and the start of term for university students.